July 22, 1997: Apple introduces its next-gen operating system, Mac OS 8, the first major OS refresh for Macintosh since System 7’s release in 1991. OS 8 introduces easier surfing of the internet, a new three-dimensional look, and other features. It gets great reviews — but arrives at a very challenging time for the company. 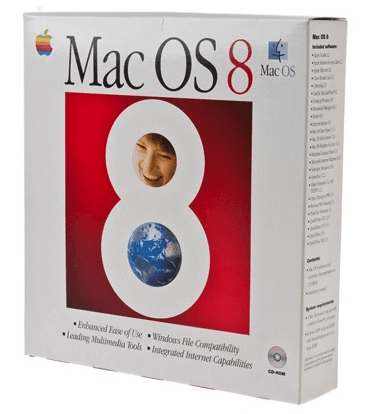 Although everyone associates Steve Jobs’ reign at Apple with OS X, Mac OS 8 was actually the first new operating system to launch after his return to the company. Jobs had very little to do with it, though, since his CEO predecessor Gil Amelio had only stepped down a couple of weeks earlier. Mac OS 8 built on the work that had gone into Apple’s Project Copland, which Apple announced in March 1994. Copland was supposed to be a total rewrite of Mac OS to accompany the introduction of the first PowerPC Macs. However, the software’s developers continually missed deadlines. Eventually, Apple folded Project Copland into “System 8,” which became known as Mac OS. Mac OS 8 allowed greater levels of user customization for features like system fonts, accent colors and photo desktop backgrounds. Apple’s other improvements included new pop-up context menus, spring-loaded folders, live scrolling, a built-in web browser and a multitasking Finder upgrade. Mac OS 8’s name was a real upgrade for Apple. The newly modernized operating system became a big commercial success. 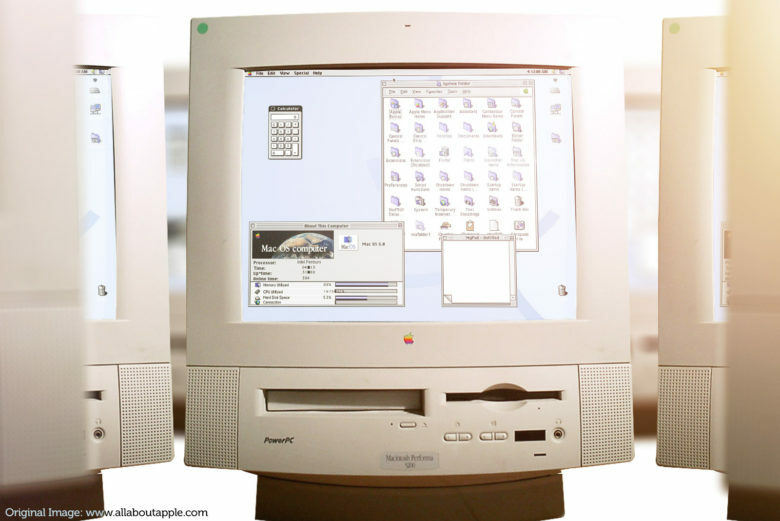 Retailing for $99, Mac OS 8 came at a very important time for the money-losing Apple. Sales exceeded expectations by a factor of four, and 1.2 million copies sold in the first two weeks after it became available. This made Mac OS 8 the most successful Apple software product at the time. Interestingly, the most fascinating aspect of Mac OS 8 had very little to do with the software itself. One of the big problems Apple faced at the time was the presence of clone Macs. Many people pushed for making Mac OS run on other computers in the 1990s. Microsoft successfully employed such a strategy with Windows. However, it worked less well for Apple. Apple CFO Fred Anderson worked out that the clone Mac strategy actually cost Cupertino money. The $50 fee Apple got for every clone Mac sold didn’t come close to recouping the money lost from people choosing to buy third-party Macs instead of more expensive official ones. Part of the reason for calling Apple’s new operating system upgrade Mac OS 8, instead of System 7.7, was that the agreement with Mac clone-makers only extended to cover System 7 updates. By calling the update Mac OS 8, Apple could negotiate new terms with third parties licensing the Apple operating system. Do you remember Mac OS 8? Leave your comments and recollections below.